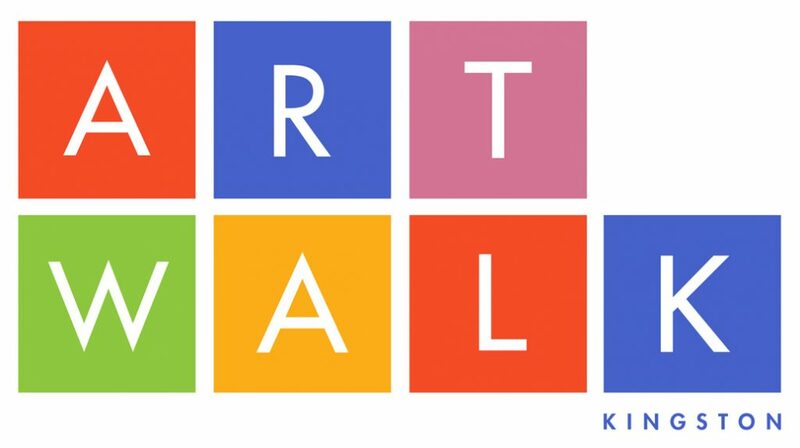 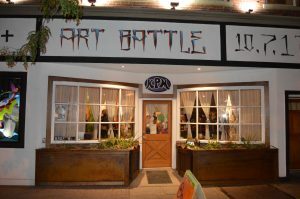 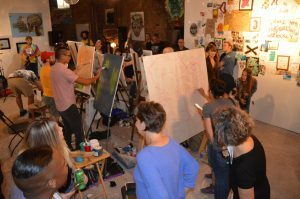 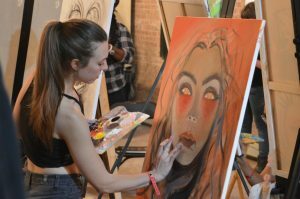 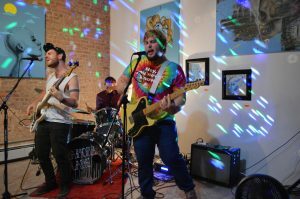 October 7th, 2017 Art Battle at KPM! 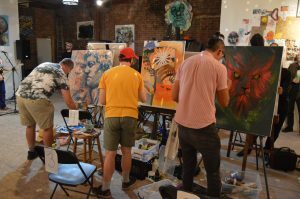 The first of its kind in the Hudson Valley! 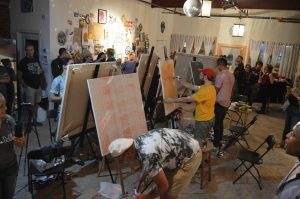 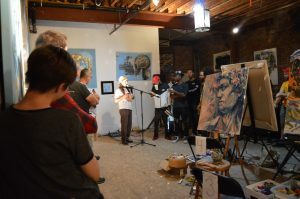 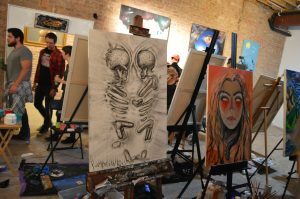 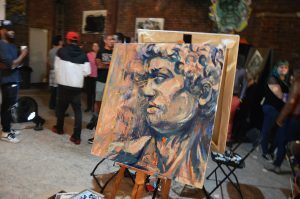 In conjunction with the O+ Festival KPM hosted 7 artists to battle with brush in 2 hours on canvas. 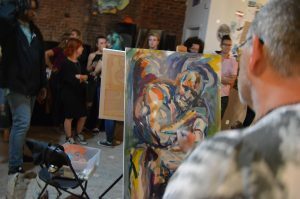 Produced/Curated by Eugene Stetz, featured artists: Ward Lamb, BACHO, Fred Wu, Boogie, DACK, Whitney Luedtke, and Adam Colombo with live performances by Ramona Lane and Don Mapes! 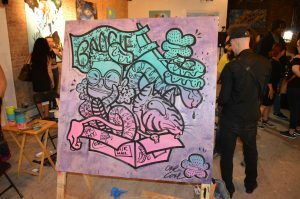 Our 1st & 3rd place winner for the evening Ward Lamb & Boogie! 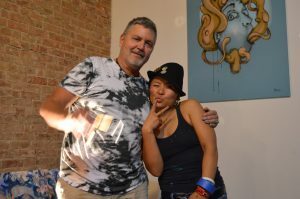 A special thank you to Joe Concra and Denise Orzo from O+ Festival for allowing us to be apart of their program!